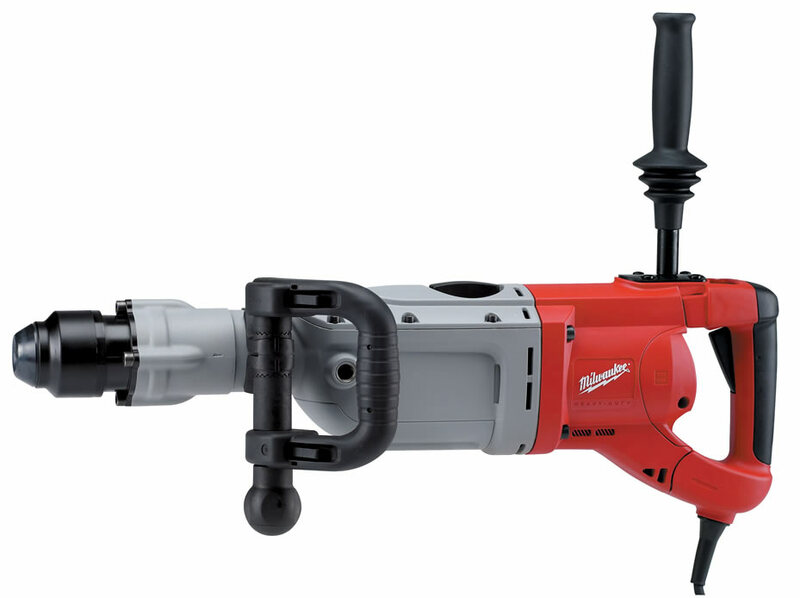 Large electric hammer used for drilling large holes or breaking concrete and asphalt, bushing, driving ground rods, scraping floors, digging, and tamping. This heavy-duty tool has an in-line design which provides more comfortable use when working on floors. An excellent system of vibration absorption/reduction reduces operator fatigue. The side handle can be attached to the rear switch handle which minimizes bending over. Other features include a service reminder light, soft-grip handles, and easy access for maintenance. The SDS-max bit holder system allows chisels to be positioned most efficiently in relationship to the work.